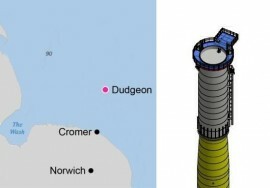 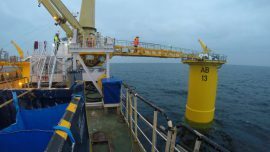 ALE’s latest marine investment, the SARAH S barge, has been deployed on its inaugural job to transport transition pieces (TPs) for the 1.2GW Hornsea Project One offshore wind farm. 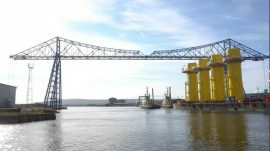 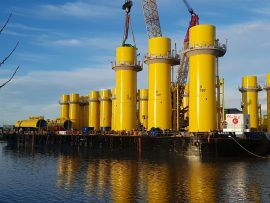 Belfast Harbour has published a photo showing the heavy lift vessel Happy River arriving at the port with 12 transition pieces for the 714WM East Anglia ONE offshore wind farm. 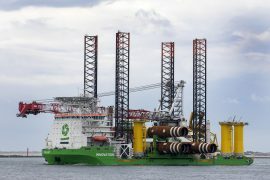 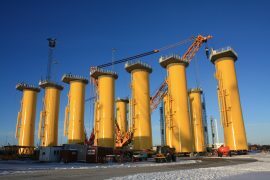 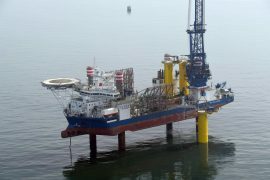 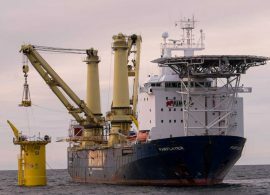 All 60 transition pieces (TPs) have been installed on the Arkona offshore wind farm ahead of schedule, E.ON, the owner and developer of the 385MW project in the German Baltic Sea. 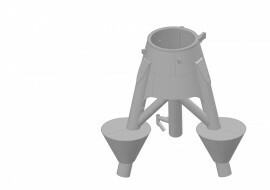 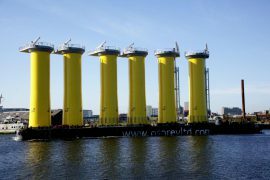 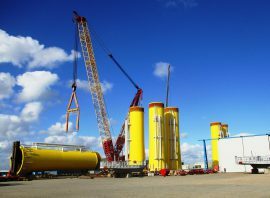 Aarsleff has completed the production and outfitting of the four transition pieces for the 28MW Nissum Bredning offshore wind farm in Denmark. 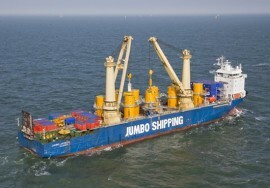 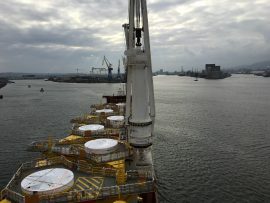 The structures are now on their way to Thyborøn onboard the barge Aarsleff 132. 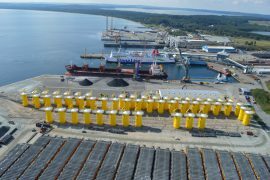 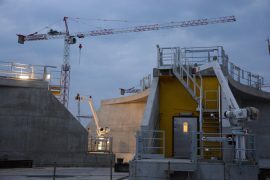 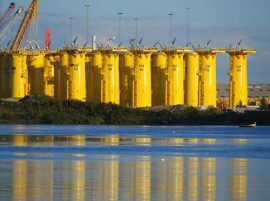 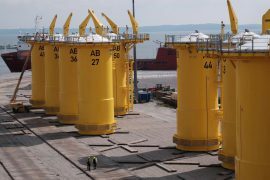 The Mukran Port in Sassnitz on the island of Rügen has published a photo of the transition pieces for the 385MW Arkona offshore wind farm. 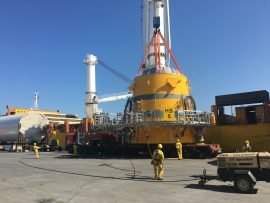 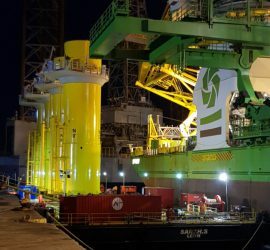 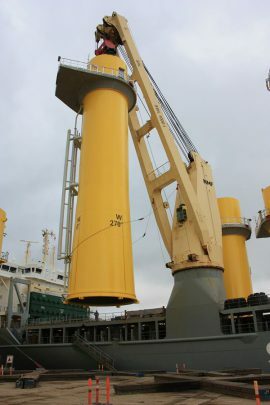 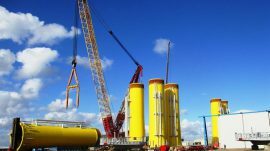 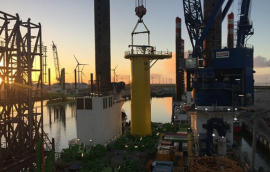 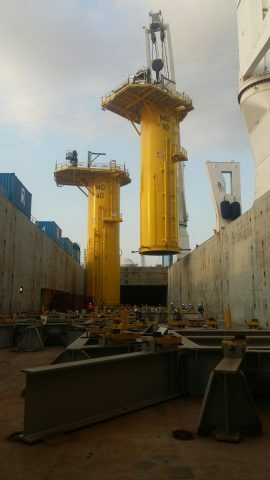 DEME Group has loaded out the last two out of the 42 transition pieces built for the 309MW Rentel offshore wind farm at the Smulders fabrication yard in Hoboken, Belgium. 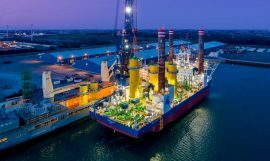 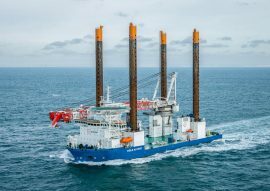 The first set of transition pieces built by Bladt Industries for the 385MW Arkona offshore wind farm has arrived to the Mukran Port on Germany’s Rügen island.